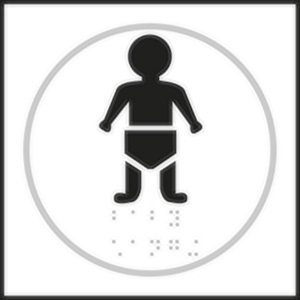 Our comprehensive range of signage includes braille signs, and this Baby Changing White Braille Sign. Supplied in a piece die moulded construction, this sign has a self-adhesive backing for instant fixing. Made from moulded matt finish plastic to help prevent reflection.